From the author of "the wonderfully ingenious and altogether satisfying" After The Crash (Marilyn Stasio, New York Times Book Review). When a mysterious letter, signed "Palma"--Clotilde's mother--arrives, the truth about her family, her parents' death, and her childhood is called into question. 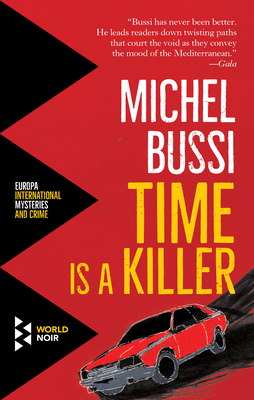 Time is a Killer is a voyage into the complexities of Corsican society, a compelling portrait of woman's awakening, and a masterfully executed novel of psychological suspense. Michel Bussi is a professor of geopolitics and one of France's bestselling authors of the past decade. His novels have been published in 35 different countries. He is also the author of After the Crash (Hachette, 2016) and Black Water Lilies (Hachette, 2017). Shaun Whiteside is a Northern Irish translator of French, Dutch, German, and Italian literature. He has translated many novels, including Manituana(Verso, 2010) and Altai(Verso, 2013) by Wu Ming, The Weekend(Pantheon, 2010) by Bernhard Schlink, and Magdalene the Sinner(Harper, 1997) by Lilian Faschinger, which won him the Schlegel-Tieck Prize for German Translation in 1997.